Either way, welcome to Croptoberfest, Greenside Recreational’s week-long harvest party for cannabis enthusiasts! No, we won’t be wearing lederhosen, but we will be hosting a series of fun harvest-related events, including great deals on your favorite cannabis edibles, vape supplies, CBD topicals, THC concentrates, cannabis wax and shatter, and good old fashioned bud. Beginning on October 25th and running through Halloween, our Des Moines and Lake City pot shops will be hosting representatives from the best pot vendors in the business, including Dynamic Harvest and Highpoint. We’ll also be highlighting (no pun intended) our favorite Halloween appropriate “satanic strains”: Boo Berry Kush (Marionberry Kush), Count Chocula (Chocolate Chunk), Pumpkin Smasher (Blue Dynamite), Pumpkin Spice Haze (Tavo/XJ-13), Killer Ghoul Bud (KGB), Trick Or Treat (Night/Day Rosin Stix), Ghost OG. 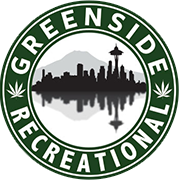 So don’t delay in getting in on the harvest fun at Greenside Recreational, the best weed Seattle-area recreational weed stores. Bonus points if you come in costume, and stay tuned for more devilish deals!